A lunar eclipse can occur only when the moon is full, and is visible only at night. It is completely safe to look at a lunar eclipse with the naked eye. 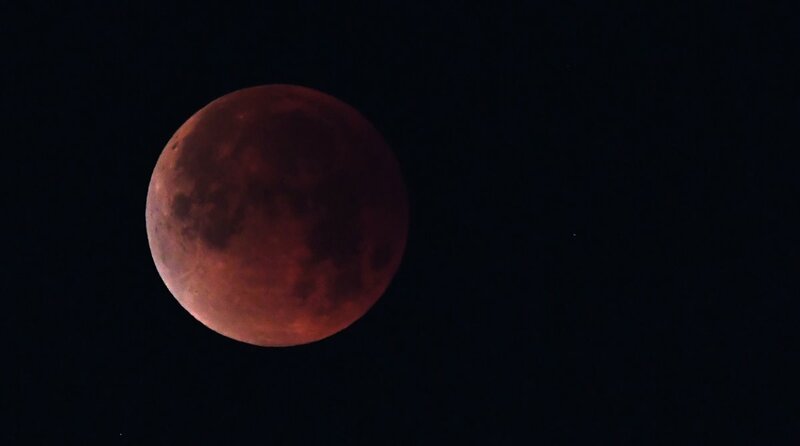 The longest total lunar eclipse of the 21st century will occur on July 27-28, with the celestial spectacle set to be visible from all parts of India, much of Africa and most of Europe, Asia, Australia and South America. The eclipse will last 1 hour and 43 minutes, preceded and followed by partial eclipses lasting more than one hour. Here are some 7 facts about lunar eclipses. 1. As we all know, the Moon moves in an orbit around the Earth, and the Earth simultaneously orbits the Sun. A lunar eclipse happens when the Earth comes between the Sun and the Moon, stealing the Moon’s shine by blocking the sunlight that is reflected by the natural satellite. The phenomenon prevents the sunlight from hitting the Moon’s surface and instead causes the Earth’s shadow to fall on it, effecting the eclipse. 2. A lunar eclipse can occur only when the moon is full, and is visible only at night. 3. There are two types of lunar eclipses — total and partial. A total eclipse occurs when the moon and the sun are on exact opposite sides of the Earth, while a partial lunar eclipse happens when only a part of the Moon enters the Earth’s shadow. 4. This shadow consists of two cone-shaped parts. The outer shadow is called penumbra – it’s partial and blocks some and not all rays of the sun hitting the moon. The inner shadow is umbra — a zone where the Earth blocks all direct sunlight on the Moon’s path. 5. While partial lunar eclipses are common, happening at least twice every year, total lunar eclipses are rare. 6. For a total lunar eclipse of a long duration to occur, the moon has to pass through the central part of the Earth’s shadow. 7. It is completely safe to look at a lunar eclipse with the naked eye. No special filters are required like those you need to watch a solar eclipse. You don’t need a telescope either, but a good pair of binoculars is recommended for a better experience.